MILWAUKEE, Wis. – There’s nothing surprising about the fact that UW-Milwaukee Chancellor Mark Mone and Marquette University President Mike Lovell might work together. They’re friends, past academic colleagues and passionate about Milwaukee’s future as a technology hub. 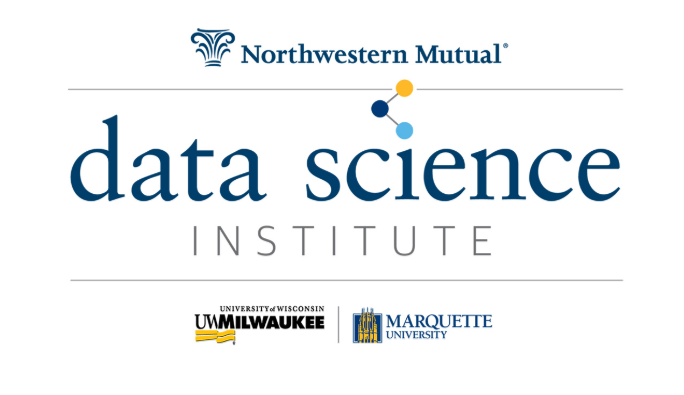 What’s unique and even unconventional is that both higher education leaders have put aside cross-town competition for students, research grants and ivory tower prestige to team with one of Wisconsin’s legacy companies on a first-of-its-kind project: the Northwestern Mutual Data Science Institute. Data science is the predictive cousin to computer science. It’s an interdisciplinary field that uses scientific methods and processes to mine knowledge and insights from raw data so that businesses and organizations can make smarter decisions. It’s what FiveThirtyEight editor Nate Silver has called a “sexed-up term for statistics,” and it’s the rage at other universities and companies across the world. What makes the multi-million-dollar Milwaukee project different, and potentially a candidate for national attention, is the commitment of both universities to work with Northwestern Mutual on a project with ambitious shared goals. For Northwestern Mutual, which will invest about $15 million, it will help address challenges such as creating a better consumer underwriting experience, improving benefits processing and marketing products in an industry that can be “old-school” in how it reaches people. For UW-Milwaukee and Marquette, which will invest $12 million each, it will mean an expanded course structure around data science, more robust research and better learning opportunities for K-12 students before they ever consider college. The goal is to produce more students with expertise in data science, a field that is exploding with the Big Data age. The Data Science Institute isn’t the first industry collaboration for either university, nor will it be the last. Instead, it is representative of a trend that appears to be helping higher education as well as businesses in many sectors. 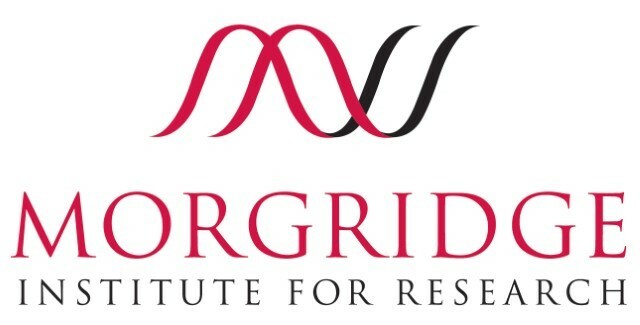 At the UW-Madison, the progress of the Morgridge Institute for Research is another example. Partly financed with a $50-million gift from John and Tashia Morgridge of Cisco Systems fame, the private- non-profit biomedical research center is focused on novel strategies to improve human health. Three Morgridge researchers who were recruited from other major universities recently told a Madison crowd they were drawn to Morgridge because it allows freedom to operate while providing first-rate resources and collaboration within the UW-Madison. Researcher Jan Huisken came from Germany’s Max Planck Institute and has developed an advanced imaging method that helps visualize biological development previously impossible for scientists to observe. Melissa Skala came from Vanderbilt University to continue her research into targeted cancer therapies, focusing on one of the most lethal conditions, pancreatic cancer. Phil Newmark left the University of Illinois to continue his work in regenerative biology, a path that may lead to fighting a tropical disease – schistosomiasis – that torments 200 million people. The structure at Morgridge provides the tools to succeed – and the freedom to take on high-risk projects “that others might be crazy to try,” Skala told a meeting of the Tech Council Innovation Network. Such collaborations are not always surrounding science. In Eau Claire, the Pablo Center at the Confluence opened Sept. 22 after years of work by private businesses such as software provider Jamf, the city of Eau Claire and the UW-Eau Claire, where students will be able to use two theaters, visual arts galleries, sound and lighting labs and more. Eau Claire will be one of at least three Wisconsin cities where the Foxconn Technology Group will establish “innovation centers” or larger research partnerships involving UW System campuses. The biggest example is the $100-million challenge grant to the UW-Madison College of Engineering, announced in late August. Public and private campuses in Wisconsin are finding ways to attract and better educate students, advance research priorities and assist businesses with problems to solve. It’s a trend that can help the state and beyond.